Races can greatly reduce their impact on the environment by instituting a few simple measures, many of which are outlined in this document. 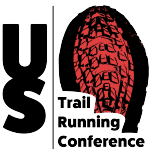 Here are ATRA’s sustainability guidelines for trail running races. This document was researched by Tia Bodington and written with input from Brad Bishop, Susan Farago, Matt Gunn and David Selden. These guidelines are a companion resource with our Event Standards Program relating to item #6 in the 15 criteria necessary to stage a safe and successful race. As Bodington, a master’s business degree candidate with an emphasis on sustainability, as well as the race director of the Miwok 100K, and board member of the Western States 100 Mile Endurance Run, points out, improving race sustainability does not have to create hardship for the race director, the volunteers, or the runners. 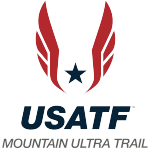 This document includes protocols to implement in advance of race day, on race day, and after race day. Additionally, tips for runners to think more “green” are provided as are resources for more information. Precycling is getting rid of potential waste and recyclable materials before supplies arrive at the race site. Big box stores often sell bulk items in small packages wrapped in plastic that are then packed into a larger box, also wrapped in plastic. Individual loaves of bread are packaged in plastic bags, and then may be sold in pairs in an additional plastic bag. You will do your volunteers a great favor by taking the time pre-race to remove as much plastic film, hard plastic, cardboard, foam peanuts, foil and other extraneous packaging material as possible. If you offer peanut butter at your race, make your volunteers’ job easier by removing the inner seal from the peanut butter jars pre-race when you’ve got access to soap and running water to wash your hands. That one small step eliminates a lot of mess at aid stations. Set aside two – four hours in the week before the race to streamline all race supplies. Look at each item and consider where the packaging will be disposed of on race day at the start, each aid station, and the finish. It is much easier to reduce packaging volume pre-race when you are not under pressure, and dispose of it sustainably, than to deal with it on race day when you and your staff are tired and stressed and will simply take the easiest course – throw it in the dumpster – rather than the environmentally responsible course. Precycling will reduce the amount of garbage and recycling you have to pay to dispose of at the race site. It can also reduce weight and volume in the race supply truck, potentially reducing fuel costs. Recycling may be a condition of your permit. Recycling options vary from region to region. Some areas in the United States have robust recycling facilities that separate landfill trash from recyclables for you, while other areas offer few choices for “green” disposal of cardboard, glass, cans and recyclable plastics. When you arrange for dumpsters or other waste removal systems at your event, ask your vendor about recycling options. Some waste management companies will credit back the cost of a dumpster if it contains only recyclables. You will need to rent two dumpsters: one for garbage and another for recycling. Be sure to confirm what is acceptable in the recycling dumpster – Cardboard only? Glass and cardboard? Crushed soda cans? – and tape pictures and a list of what goes in each dumpster on the dumpster lids on race day. Make sure the signage is visible and readable. Set up a system for aid stations to separate recycling and trash; include a page in your aid station binder briefly describing the requirements. Also establish a system ahead of time with the driver who retrieves aid station supplies post-race so that they position trash and recyclables with convenient access in your truck, or other vehicle for easy disposal in the appropriate dumpsters/food waste cans. California, Florida, Iowa, New York and Washington are among the 33 states that channel a percentage of their food waste into composting, rather than into the landfill. States are beginning to pass laws that require commercial entities – including sporting events – to compost their food waste. Compostable food scraps commonly seen at trail races include banana peels, melon rinds, bread, tortillas, pasta, nuts, dairy, meat, vegetables and fruits; paper towels and napkins, coffee filters and tea bags are also compostable. As a race director, stay ahead of the curve, and check out food composting before it becomes the law. Google “food composting [your city] or [county]” to ascertain whether food composting is available in your area. Or, call your garbage or recycling company and ask whether they provide food waste cans. Two 64-gallon cans are enough for a 100K race distance with up to 350 runners and 6 – 10 aid stations. Adjust accordingly for your race. Purchase enough food waste and recycling bags to supply all your aid stations and the start/finish (amazon.com carries a variety of brands; about $5 for 25 3-gallon bags). Set up three boxes adjacent to the aid station table, more accessible to the volunteers than to the runners. Line one with a black trash bag for the landfill, another with a green food waste bag, and the third with a blue recycling bag. You might want a fourth box for crushed soda cans, if a volunteer plans to exchange those for cash after the race. Runners have enough to do without having to decide whether a half-eaten cookie or watermelon rind goes in the trash bin or the compost bin; if possible assign a volunteer or two, wearing disposable gloves, to take trash from runners and throw it in the correct bin. The option of eliminating cold cups at aid stations varies depending upon the style of race you direct. 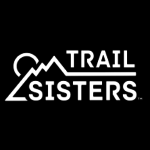 Large trail 10Ks will have a different system from 50-mile or 100-mile events where runners are more spread out and spend a few more seconds at aid stations. When a race eliminates cups for cold drinks – water, soda, electrolyte drink – at aid stations, the rewards are substantial in terms of lower waste volume and a reduced need for extra aid station tables. You may find you need several more pitchers to fill runners’ cups. Hot cups will still be required for soup, coffee and other warm food and drink items that you offer. And cups are much appreciated at the finish area for chocolate milk, soup, etc. Hydration recommendations have changed over the past decade, but publicity of those changes has not kept pace. Overhydration is generally a greater physical risk than dehydration, but that topic is beyond the scope of a discussion of sustainability. Research has shown that runners tend to monitor their drinking more appropriately when they use their own cup. Port-a-lets – provide more than enough toilet facilities at race start; on course (primarily for ultra distance events) consider options for human waste removal. You can ask about renting composting toilets but the response is often that government regulations are so onerous that it is not economically feasible. Providing more portables is water-efficient by eliminating flushes, but can be fuel-inefficient to deliver and pickup. Human waste is a critical conversation and perhaps one that deserves its own focus outside of the sustainability topic. In 2008, a ranger informed me that park staff had found 30 – 40 poops in the woods at the 40-mile Miwok turnaround (some poor ranger had to count them! ); I’ve provided portables at all aid stations ever since, and have been appalled that so many races do not provide portables at aid stations for volunteers, and runners. It should be a requirement of ALL trail races to provide toilet facilities to remove human waste from each aid station area. Of course, if a runner has to go in between aid stations, there’s no holding back. In the wilderness, these “impromptu waste locations” are spread out over a long trail so not as problematic. Still, if there is a race in the wilderness, each aid station where humanity congregates should provide a toilet option that removes human waste from the area. In more urban locations, racers should be required to follow the same rules as climbers, who carry poop bags with them to dispose of at trailheads. We pick up after our dogs. We should pick up after ourselves, too. Some items such as apparel, hydration packs and footwear are great to donate. However, if a shirt, sleeves or socks have brushed against poison oak or poison ivy (CA, WA, OR, New England are all culprits of this noxious weed), or stinging nettles (WA), they have to go in the trash unless the RD is willing to quarantine them by doing a load of wash with Tecnu to eliminate poison oak oils before donating. Keep in mind, washing contaminated items reduces sustainability through extra water, soap and energy use. Is zero waste a misnomer, since food packaging and giveaways/prizes packaging are simply unavoidable? Even a banana comes with a peel! “Zero waste” on race day means there’s a lot of cardboard and plastic wrap in someone’s trash (see precycling, above); include that waste in carbon analysis. If a race director makes the soup as opposed to buying it, cooking energy and wash water still add to the carbon footprint. And, when out-of-state or foreign entrants fly to a race, that race’s footprint will look huge, even if the event is a 100% best-practices sustainable event and may provide social/community benefits that outweigh carbon footprint analysis.